The Slovenian Alps are incredibly beautiful in spring. The purple flowers that dot the landscape are crocus sativus, or saffron flowers. 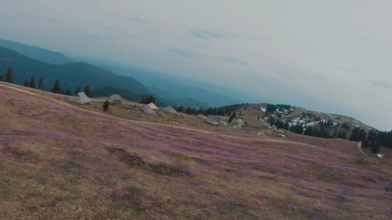 In this FPV flight by Marko Kolenc the hills are littered with the beautiful flowers, we can only imagine what it smells like there! This flight through the mountains and trees truly give you that bird-like FPV experience we’re all always craving, looping in and around the unqiue Slovenian houses and floating through the air.